In the tradition of The Lost City of Z and Skeletons in the Zahara, Astoria is the thrilling, true-adventure tale of the 1810 Astor Expedition, an epic, now forgotten, three-year journey to forge an American empire on the Pacific Coast. 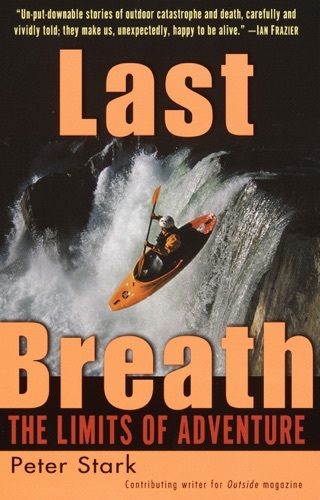 Peter Stark offers a harrowing saga in which a band of explorers battled nature, starvation, and madness to establish the first American settlement in the Pacific Northwest and opened up what would become the Oregon trail, permanently altering the nation's landscape and its global standing. 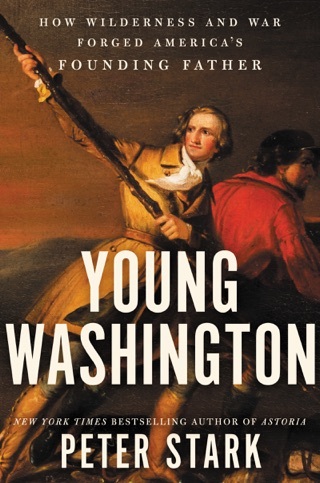 Six years after Lewis and Clark's began their journey to the Pacific Northwest, two of the Eastern establishment's leading figures, John Jacob Astor and Thomas Jefferson, turned their sights to founding a colony akin to Jamestown on the West Coast and transforming the nation into a Pacific trading power. 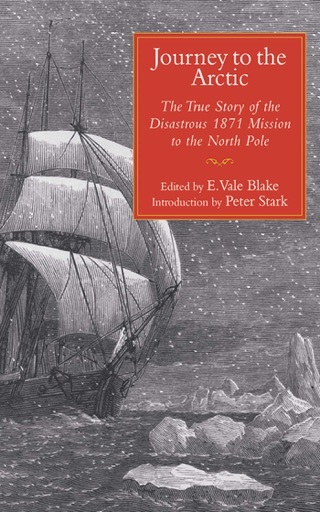 Author and correspondent for Outside magazine Peter Stark recreates this pivotal moment in American history for the first time for modern readers, drawing on original source material to tell the amazing true story of the Astor Expedition. Unfolding over the course of three years, from 1810 to 1813, Astoria is a tale of high adventure and incredible hardship in the wilderness and at sea. 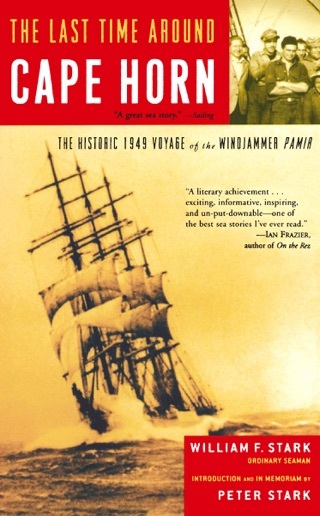 Of the more than one hundred-forty members of the two advance parties that reached the West Coast—one crossing the Rockies, the other rounding Cape Horn—nearly half perished by violence. Others went mad. Within one year, the expedition successfully established Fort Astoria, a trading post on the Columbia River. Though the colony would be short-lived, it opened provincial American eyes to the potential of the Western coast and its founders helped blaze the Oregon Trail. At the dawn of the 19th century, America's Eastern coast had largely been settled, but the West remained largely uncharted and undeveloped. In 1810, entrepreneur John Jacob Astor proposed to Thomas Jefferson that Astor start a trading colony in what is now Oregon. In a page-turning tale of ambition, greed, politics, survival, and loss, historian Stark (The Last Empty Spaces) chronicles Astor's mad dash to establish a fur-trading company, Astoria, which would capture the territory's wealth and allow Jefferson to inaugurate his vision of a democracy from sea to shining sea. Astor sent two parties to build his empire, one by sea and one by land. They were to reach the Pacific coast at the same time, but dissension among the leaders of the overland party, as well as Indian attacks and other logistical difficulties, kept it from arriving according to plan. The sea party aboard the Tonquin was scarcely more fortunate. The establishment of the short-lived Astoria coincided with the War of 1812, and in October 1813, Duncan McDougall sold out the trading post to the British. 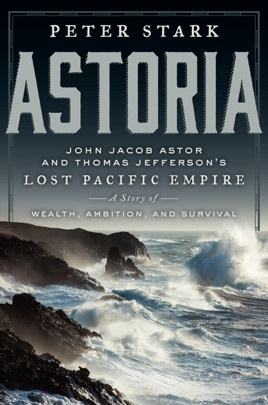 Stark eloquently concludes that though Astoria failed, Astor's vision and drive pushed settlers to establish a Western presence, altering the shape of the American nation. This is a solid, well researched and beautifully written history of white man’s discovery of the Pacific Northwest. I’ve been living in the Willamette Valley for over forty years and I had no idea. This seems a fair telling of the hardships, sacrifices and sheer guts it took to get to the West Coast. Many Native Americans helped this endeavor...probably now to their horror. Exciting adventure based on fact. Many characters-written so well the reader can keep track of them all.